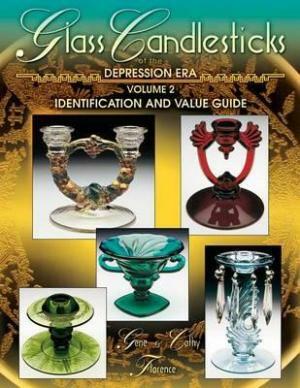 The Florences have compiled this second volume to once again help identify the candlestick patterns made from the Depression era to modern day. With no repeated shots from the authors' first volume, more than 500 different candlesticks are shown in full color, dozens never before seen in any other book. For simplicity of use this book is arranged according to color: amber, black, blue, crystal, green, iridescent, multicolor, pink, purple, red, smoke, white, and yellow. Many famous glassmakers are represented, such as Heisey, Indiana, Cambridge, Fostoria, Westmoreland, and Tiffin. The descriptive text for each candleholder includes pattern, maker, color, height, and current collector value. A helpful index and bibliography are also provided.